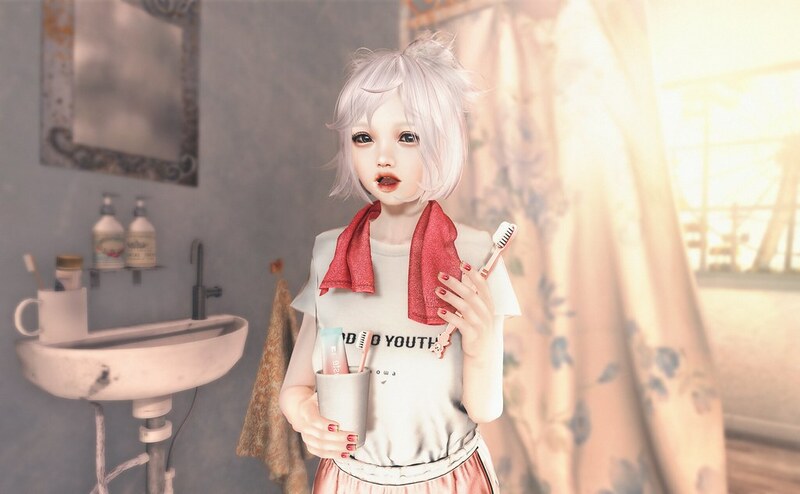 Mesh Lip: dami,good mornig mesh lip -lather RARE @Shiny Shabby NEW! Outfit: dami, good mornig set W1 @Shiny Shabby NEW! Toothbrush: dami, bear toothbrush 3 @Shiny Shabby NEW! Brushing Set: dami, brushing set pink @Shiny Shabby NEW! Nail: PICHI – Watermelon Nail Laquer @SaNaRae (June 25th) NEW!